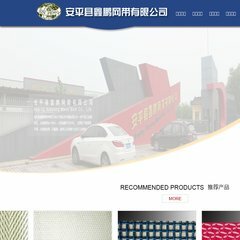 www.Polyestermesh.com - Anping Xinpeng Mesh Belt Co. Topics: Sludge Dewatering Belt, Polyester Plain Weave Mesh Fabric, and Glass Fiberdouble Sides Towel Fabric. It is written for ASP.NET language. It is hosted by Xiamen City Fujian Province Xiamen, using Microsoft-IIS/6 web server. dns13.hichina.com, and dns14.hichina.com are its DNS Nameservers. PING www. (58.23.131.101) 56(84) bytes of data. A ping to the server is timed at 221 ms.